Is Moreland Council Fossil Fuel Divestment strategy on track? At the Moreland Council meeting on the 9th May a question was raised over the Council’s transactional banking services, and whether it was in accord with the Fossil Fuel Divestment Strategy (PDF) adopted in 2015 as a result of a campaign by Climate Action Moreland, 350.org and local residents. Why Council is paying my rates and those of other Moreland ratepayers into a bank that has reportedly loaned over $21 billion to fossil fuel industries since 2007, thereby contributing to climate change risks to our children’s future and the whole planet. A tender process was undertaken in 2017 and Council received 3 tenders. Officers ensured the tender was advertised widely for a specific set of services. Of the three tenders, Council selected the one that best met the criteria, noting it was also with the lowest investment in fossil fuels. Council had adopted a Fossil Fuel Divestment Strategy; and Flagged her intent to move a General Business item regarding the strategy and whether the tender should be reported to Council. The Mayor advised the tender amount was within the Chief Executive Officer delegation. In October 2015, council adopted a fossil fuel divestment strategy. In 2016, Council went out to public tender for banking services and chose the Westpac bank for Council’s transactional banking services. That Council receives a progress report on the Fossil Fuel Divestment Strategy and the next steps at the July 2018 Council meeting. 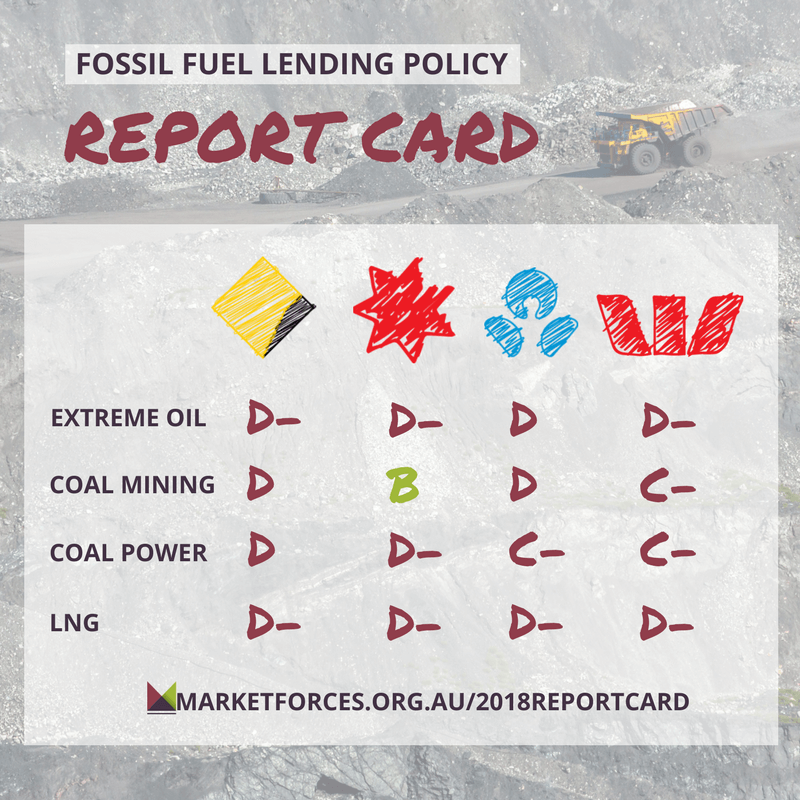 The report should include information on the reasoning for the granting of the contract for Council’s banking services to the Westpac Bank, one of the major banks that invests in fossil fuel projects. 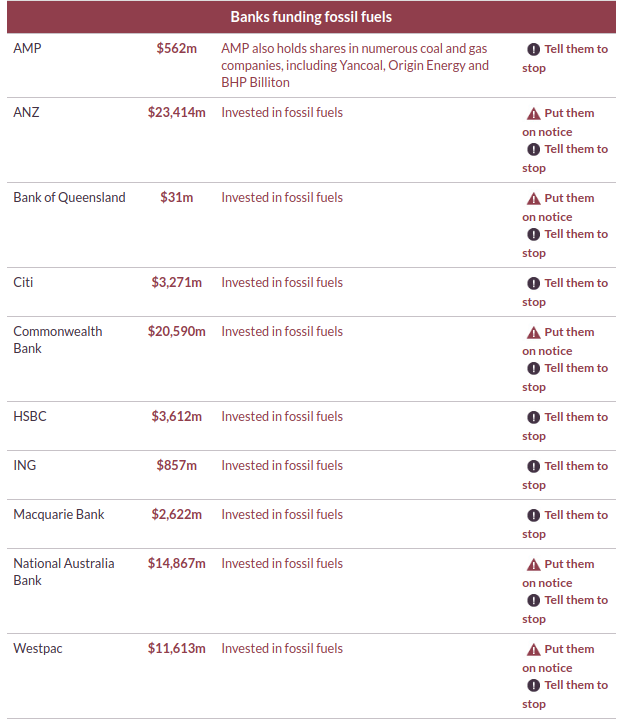 A quick check of Market Forces Compare the Banks page shows Westpac has $11,613million invested in Fossil Fuel high carbon investments, although they are the lowest of the Big 4 banks. In our eyes, this still doesn’t justify investing ratepayers money through Westpac when there are a plethora of middle level banks that do not have fossil fuel investments and should be able to offer transactional banking services required by Council. 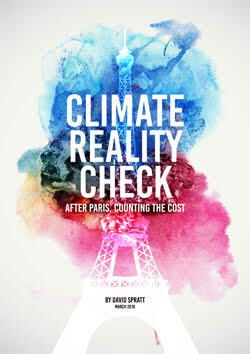 Although Westpac released a climate position statement in December 2017 which effectively ruled out funding for the Adani mine and in coal operations in new mining regions, it did not rule out further funding for high quality coal mine operations. We will eagerly await the report to Council in July. More than 1000 residents petitioned the Council to divest from Fossil Fuels in 2015. The citizens of Moreland want to ensure their Council exits banking corporations that still invest heavily in fossil fuels, which damages our climate and future generations. Entry filed under: divestment, Moreland Council, news. Tags: City of Moreland, divestment, Fossil Fuel Divestment. You are seriously misguided if you think any bank below the big-4 can offer a decent transactional banking service. The technology and the range of services they can offer bring efficiencies that far outweigh the costs that would otherwise be imposed on ratepayers by not having these services. The smaller banks are also riskier, most of them are concentrated in one geographical area of the country which has nothing to do with Moreland (ie Suncorp or AusWide in Queensland, MyState in Tasmania). Also who are the ones lending to wind and solar farms? that’s right, its the big 4 too. 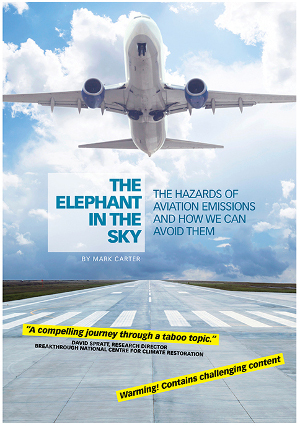 Why don’t you avoid the smaller banks because they don’t support these green industries? You can’t have your cake and eat it too.